Please note: Paediatric physiotherapy can only be booked online for our Belgravia and Clapham practices. Paediatric osteopathy can be booked in all our practices. Excellence Physiotherapy is a team of English, French, Australian and spanish expert physiotherapists, osteopaths, personal trainers and Pilates instructors working together in London to bring you the best and most advanced physiotherapy, osteopathy and fitness treatments for yourself, your family or your employees on a variety of conditions. We offer a full range of treatments done by expert physiotherapists and osteopaths for orthopaedic, musculoskeletal physiotherapy, women’s health including prenatal and postnatal physiotherapy, paediatric physiotherapy, elderly rehabilitation, sports physiotherapy and corporate physiotherapy. We also offer personal training and Pilates session with our personal trainer and Pilates instructor who are also Physiotherapists. Highly trained physiotherapists and osteopaths, our unique approach and efficient treatments have made us a popular and trusted physiotherapy practice in London. Home Visits, our physiotherapists, osteopaths, pilates instructor & personal trainer can visit you at home in London, so you don’t have to worry about moving if they have mobility issues or busy schedules. Multiple Practice Location, We have multiple physiotherapy and osteopathy practice location in London. For those who prefer to be treated at the practice you can find us at the light centre Moorgate EC2 near Liverpool street and Monument Stations, at the light centre Belgravia, Westminster SW1 near Victoria Station and at Make Me Feel in Clapham SW4 between Clapham South and Clapham Common Station. We work closely with your doctor in order to decide on the best course of action and plan a unique programme tailored to your condition, your abilities and your goals. Our specialists, physiotherapists and osteopaths, speak fluent English, French & Spanish. "The physiotherapist was able to rehabilitate my shoulder with gentle physiotherapy techniques and exercises, I highly recommend him." "Five Stars treatment on my ankle. Back to running after 3 months of pain. I am glad i found you guys." "Two sessions with their osteopath and my neck was brand new. I highly recommend." "Finally some physiotherapists who know what they are doing. Thank you for making my back painless again." Do you want to receive HEALTH INFORMATION & OFFERS from Excellence Physiotherapy & osteopathy? London Home Visit Physio is a private physiotherapy & osteopathy practice committed to a high quality service and care for all adult orthopaedics. We provide home visits all over London and in our practices in Belgravia near Victoria station , in Moorgate near Liverpool Street and Monument station and in clapham between Clapham south and Clapham common station. London Home Visit Physio mission is to help our patients achieve optimal health and physical wellbeing. As physical specialists, we are committed to providing the highest quality of care. We always strive to achieve the best possible physical therapy outcomes. We specialize in the evaluation and treatment of all musculoskeletal injuries, pain, sport injuries, post-operative rehabilitation, comfort massages & lymphatic drainage. We also offer one to one fitness sessions. LONDON EMERGENCY PHYSIOTHERAPIST & OSTEOPATH SATURDAY & SUNDAY TREATMENT. 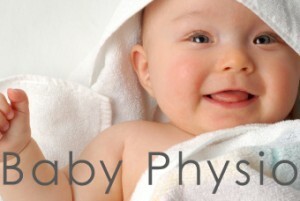 Baby Physio is a home visit physiotherapy & osteopathy practice specialised in paediatrics. Your baby is monitored from the beginning to the end of the treatment by health specialists in contact with each other to ensure the best possible care. We provide home visits all over London and in our practices in Belgravia near Victoria station , in Moorgate near Liverpool Street and Monument station and in clapham between Clapham south and Clapham common station. and speak English and French. Mummy’s Physio is a London physiotherapy & osteopathy practice specialising in pelvic floor rehabilitation and in the follow up of mothers during and after pregnancy. We are treating pelvic floor dysfunction, back pain, swollen legs and feet, abdominal weakness and we help you to get back into shape. For the convenience of mothers we provide home visits all over London and in our practices in Belgravia near Victoria station , in Moorgate near Liverpool Street and Monument station and in clapham between Clapham south and Clapham common station.